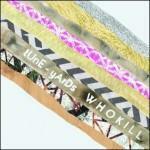 I wasn’t a true fan of Tune-Yards until I saw her live last year at Seattle’s Sasquatch Festival. The music went from being somewhat shallow avant-garde folk to something far more real, far more confident. Everything seemed brighter and bigger after that, and I gained a new appreciation for how she builds layers of vocals and drums upon one another. I came away wishing that her first album, Bird-Brains, sounded half as good on my stereo as it had onstage. Miraculously, W h o k i l l translates the amazing confidence, energy and depth of her live performance into a shockingly good record. This was something I expected to enjoy, but not something I expected to love. She’s improved by leaps and bounds since her first outing, and adding some collaborators, as she did on tour, gives her music the weight it was missing before. Vocal loops bounce playfully off one another, surrounded by her typically layered drums and jumpy, fluid bass lines. Every part plays off another, interlocking in a web of slowly building rhythms and harmonies. She’s gone from being a left-field experimenter to a confident, powerful front woman, tackling social issues with a unique humor and slant. Es-So ponders body image and health, coming out the other end more self-assured than when it starts. OpenerMy Country explores the plight of the poor in America and makes effective commentary on a sad subject without becoming sad or preachy. It's light on its feet yet thought provoking. That’s not an easy feat to achieve, yet she does it with ease on almost every track. Even the more menacing tracks, like Gangsta and Riotriot, have a bouncing, easy undercurrent to them. The bizarre take on folk, pop and anything else she sees fit is enchanting, joyful and thought provoking; it’s everything at once. It takes music that should be stylistically difficult and makes it feel like a breeze. Its 42 minute run time feels 15. It’s a massive improvement from her last album, yet it never sacrifices any of her style. She’s still the same artist, just a hell of a lot better.